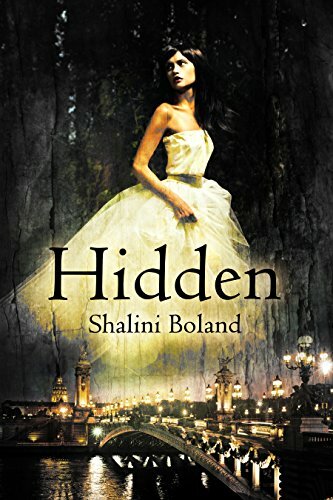 HIDDEN is a paranormal adventure that spans the centuries from modern London to 19th century Paris and ancient Cappadocia. Sixteen-year-old Madison Greene is in foster care until one day she inherits a fortune, she inherits a house, she inherits a cellar full of danger. Eighteen-year-old Alexandre lives in 19th century Paris. On an archaeological expedition he discovers a lost underground city where his life changes forever. For each of them, life is finally starting. Little do they know it is closer to ending. Something lies buried which should have been forgotten. A Pandora’s Box that was meant to stay shut. But Madison and Alexandre have never been any good at following the rules. They are about to find everything they’ve ever desired and everything that could destroy them. Falling in love has never been so dangerous. Shalini Boland lives in Dorset, England with her husband and two noisy boys. Before children, she was signed to Universal Music as a singer songwriter and spent her days and nights writing, recording, touring and performing. Now she writes Young Adult fiction – gripping adventures with a spattering of horror and a sprinkling of romance. I used to live in a very old house in London which had a large basement, very much like the one in my novel. I was always terrified of going down there and I can still remember the musty smell and the grey stone walls. It wasn’t hard to imagine all kinds of terrible things lurking down there – awful creatures, ghosts, things bricked up in the wall . . .